This post contains spoilers for Star Trek: Discovery through episode 3, "Context Is for Kings." The last few frames of Star Trek Discovery's third episode contain the series most important moment yet. Consider "Context Is for Kings" the “third date," especially since the first two episodes were a breathless mini-movie that worked as prologue meant to slap you silly with its breathless pace and impressive production design. 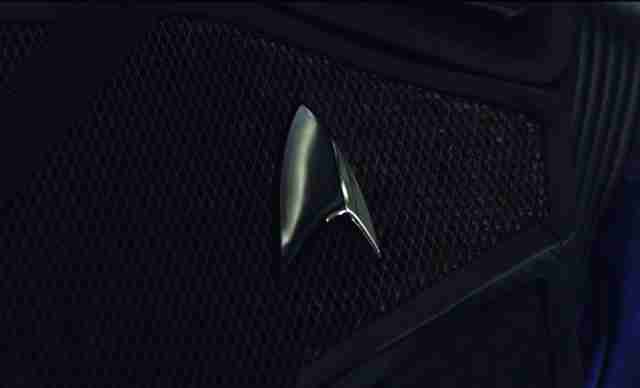 But yeah, there it is, off in the corner of Captain Lorca's black-ops menagerie on his (alleged) ship of scientific discovery. Behind glass: the skeleton of a Gorn. As long time Trekkies (who have a tendency to be a little bit obsessive, and haven't quite decided if this new show -- which is technically another prequel even though it looks modern -- is going to be a keeper), know, Gorn are simultaneously the most embarrassing and most beloved creatures of Star Trek: The Original Series. If you've seen TOS, you may recall the rubber suited lizard man that has a very slow and methodical fight with Captain Kirk. You've seen, and probably laughed at, the clip. But maybe you've also laughed with the clip and celebrated the clip. And if you have, it means you like Star Trek. Welcome to the club! I confess that I and many of my Star Trek pals have been agonizing a bit over things that don't appear, at first blush, to make sense with Discovery. Not the issue of special effects produced in 2017 looking different than those made in 1966. (Some can't get past the holograms, and they deserve your mockery and scorn.) It's seeing a Klingon ship employ a cloaking device when all along we thought it was Romulan technology. Or how Captain Lorca can keep a Tribble on his desk without it reproducing all over the place. We want answers before the end of the season. Yet that glimpse of a Gorn is more than just a blink-and-you'll-miss-it bit of fan service. It is a bold statement that this new Star Trek may be different. 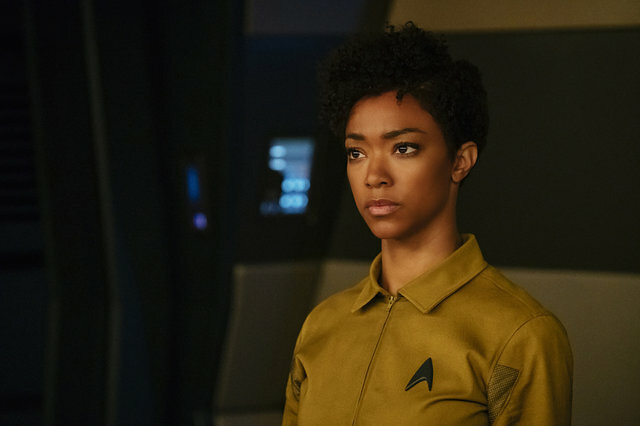 Its hero, Sonequa Martin-Green's Michael Burnham, may have kicked things off by disobeying a direct order (and giving her captain and mother figure Captain Georgiou a Vulcan nerve pinch). And it appears as if Burnham's new captain, Jason Isaacs' Lorca, is some sort of ends-justifies-the-means rogue at odds with everything the Federation stands for. But despite all this, this is definitely still Star Trek. The Gorn skeleton is more than just a call-back. It's an expression of how we're seeing a familiar world through an unfamiliar lens. We're looking at its bones. 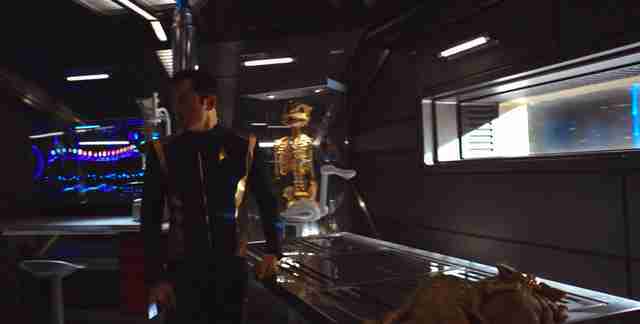 Still, the skeleton in Lorca's enormous walk-in closet adds more mystery to the U.S.S. 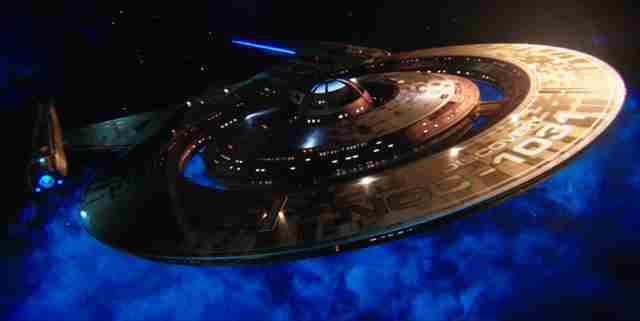 Discovery's revealed mission. When Kirk's Enterprise (which, yes, looks a whole lot less flashy and digital, we know, we know) encountered the Gorn it was, so they thought, a first contact. But the new series is set ten years before TOS, which means whatever the USS Discovery… discovers shall stay on the USS Discovery. This arguably puts a damper on the bold experiment that Lorca and overseeing with Lt. Stamets (Anthony Rapp) and the doomed sister ship the USS Glenn. Unless there's some big twist coming, the concept of their proposed super-warp propulsion extracted from spores (“the veins and muscles that hold our galaxy together”) is something we know won't work. It does not appear in any later Trek stories, at least in the so-called Prime timeline. Though if spore-travel leads the Discovery to a parallel universe, or perhaps ten years after the last spot on the timeline (Spock following Nero into a black hole in Star Trek 2009), all could still snap into place. But until then, there's a lot to dig into. For example: Black Alerts? When spore experiments go wrong and droplets appear on the ship, the protocol is to … roll over and go to sleep? It's definitely strange, but seeing Cadet Sylvia Tilly in bed is important, as it establishes just where she'll be when Michael Burnham has to steal her drool to sneak past the Space Age Breathalyzer, in one of the weirdest plot points in all of Trek history. 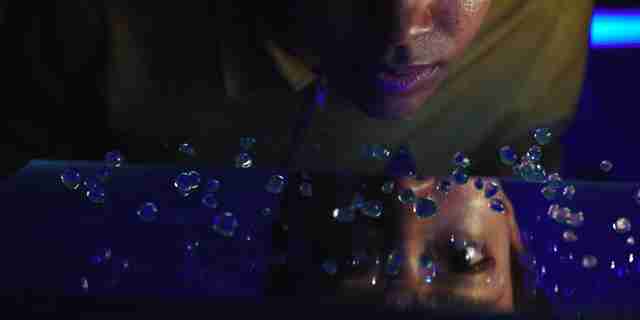 Yes, this even tops the moment in last year's Star Trek Beyond when it was determined that only Keenser's acidic snot that could open a prison door to let Sulu and Uhura out and monkey with some sort of computer array. "Context Is for Kings" plunges directly into a storyline with very high stakes. People seem rattled. The darkest moments of Deep Space Nine's Dominion War arc didn't have this kind of pressure. Comparisons to the Battlestar Galactica reboot are apt. Episode 3's early redshirt moment aboard the prisoner transport ship is one of Trek's most striking deaths because it happens off-screen and by accident. I don't think we've ever seen anyone just swept away by bad luck like this before. As a longtime Trek enthusiast I admit that Discovery has me on unsteady ground. With no other iteration of this franchise has it taken me this long to get my space legs. This in no way suggests that I'm not loving the hell out of this, I've just never been in a position where I didn't know what the hell was going on. Then again, we're not seeing the show from the perspective of the Captain's chair, but an unfairly maligned Federation exile who also thinks herself unworthy of redemption. It's going to take some unusual form of propulsion to get her back on top. Jordan Hoffman is a film critic and writer whose work appears in The Guardian, Vanity Fair, and Mashable. He's also the host of ENGAGE: The Official Star Trek Podcast.